Since moving to mobile. The territory of Gravina in Puglia, where there is Macnil, was popular for being the heart of the manufacturing district of upholstered furniture. 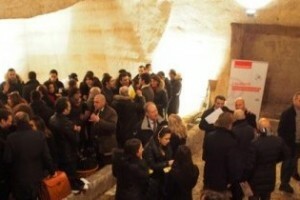 Through an initiative promoted by Confindustria Bari-BAT called “Journey in the enterprise,” in February, the 13th Macnil has opened the doors of its headquarters, in a sixteenth century palace in the historic center of Gravina, entrepreneurs, partners, journalists and citizens. The event was an opportunity to turn the spotlight on the natural and cultural heritage of the percent Murgia Area, where Macnil operating since 2000 with an important impact on the economic and employment. The company works closely with a number of associations for the protection of the territory, aspires to be confirmed and efforts for the enhancement of its territory. The identification and support of the territory is the peculiarity of the company, which its strong roots advances in the international market.